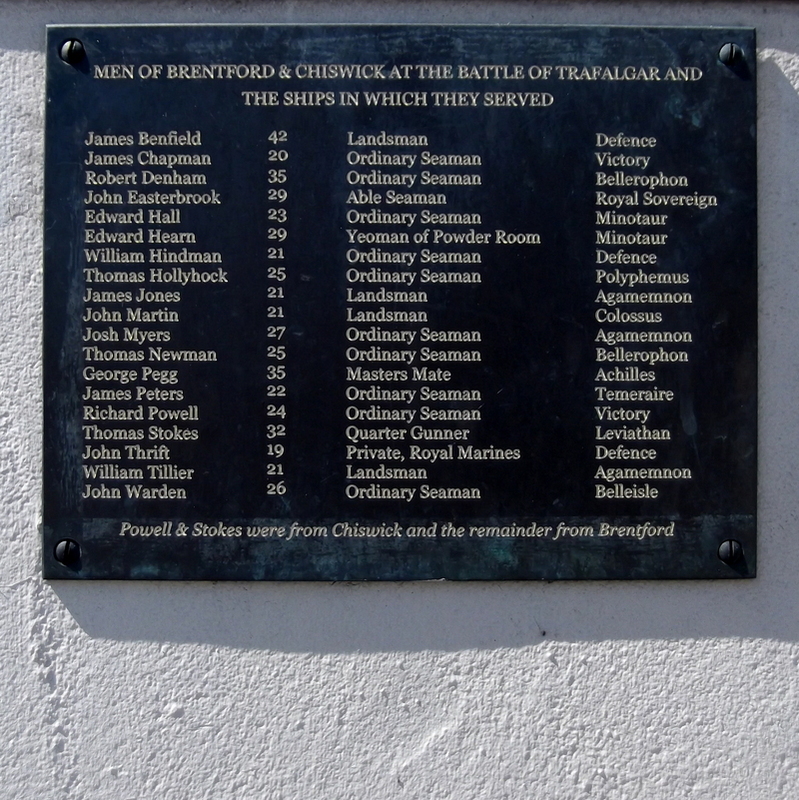 Men of Brentford & Chiswick at the Battle of Trafalgar and the ships in which they served. Powell and Stokes were from Chiswick and the remainder from Brentford. 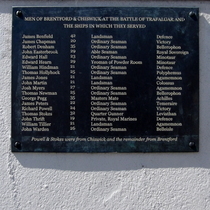 This plaque is a rare thing - a war memorial naming the enlisted men who died in a war prior to 1900. Admittedly it was erected quite recently, but still rare. Landsman aged 42, on the 'Defence' at the Battle of Trafalgar. Ordinary seaman aged 20, on the 'Victory' at the Battle of Trafalgar. Ordinary seaman aged 35, on the 'Bellerophon' at the Battle of Trafalgar.